We have a fantastic selection of hot and cold snacks and meals including sandwiches, jacket potatos, toasties, chilli, wraps, salads and of course a selection of our ‘house’ burgers including the legendary and delicious Forbidden Planet Burger. We also have a great selection of children’s food from sandwiches served with salad or cheese nibbles from only £2.20 to full meals from only £3.25 – everything they need for refuelling! We serve freshly ground coffee from only £1.60 and have a wide range of other beverages including pure apple and orange juice. 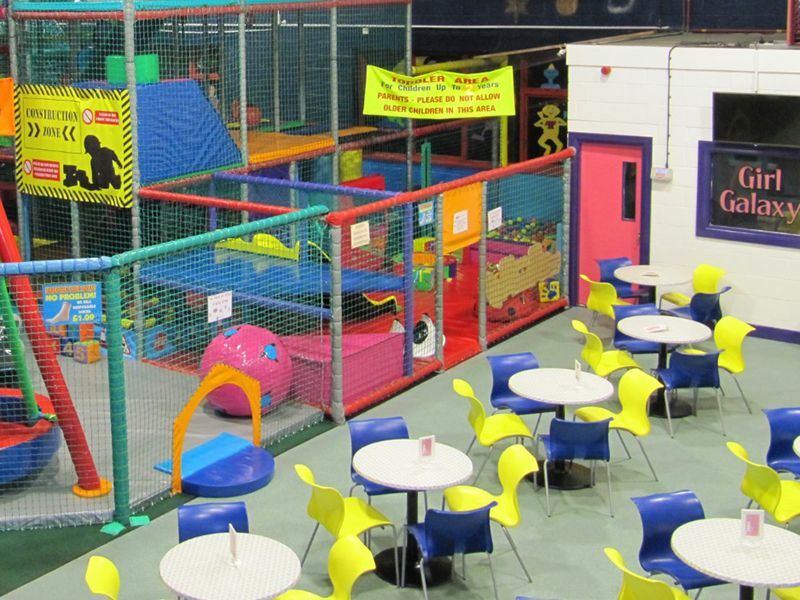 FREE Wifi is available throughout the café enabling you to bring along your laptop and chill out whilst your children have a fantastic time at Planet Play. Copyright © 2019 Planet Play.